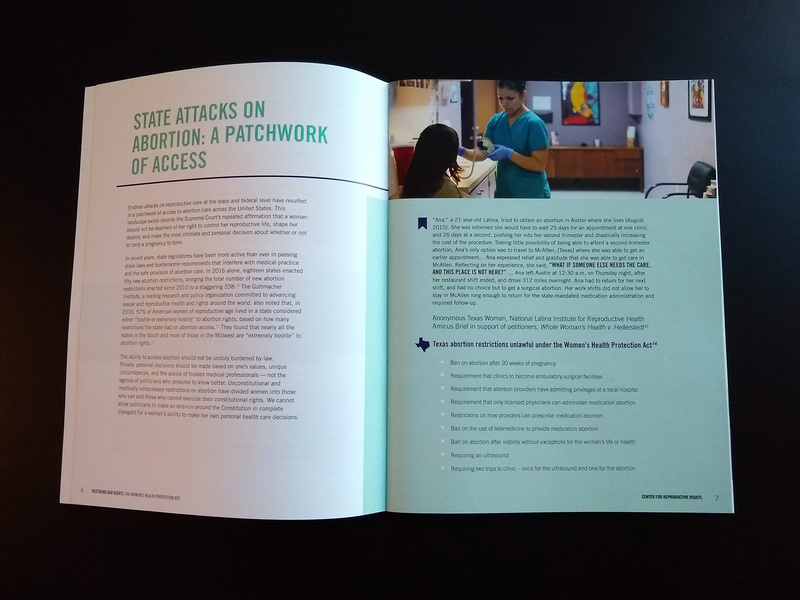 As one of my first major projects at the Center for Reproductive Rights, I worked with a project of the Center, Act for Women, on an advocacy piece for the Women’s Health Protection Act (WHPA). 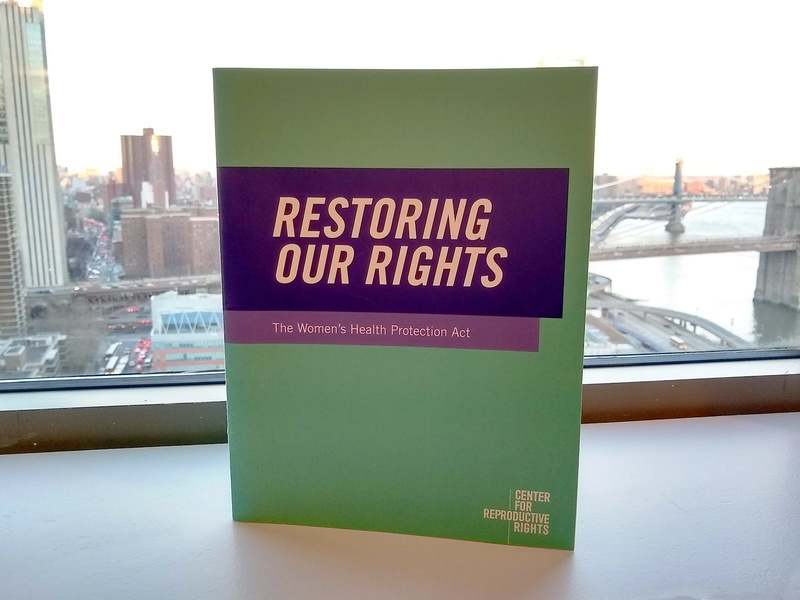 WHPA is an act of legislation with a long history in US Congress and with the Center that is essential to improving the state of women’s healthcare nationwide. 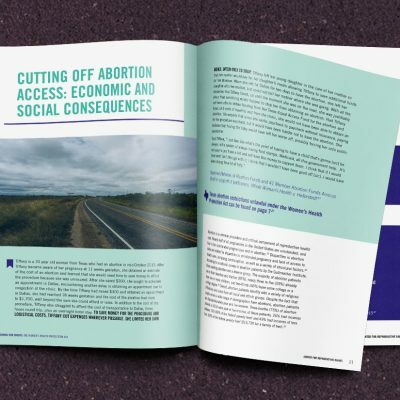 The key audiences for this are legislators on a state and federal level, as well as grassroots advocates. 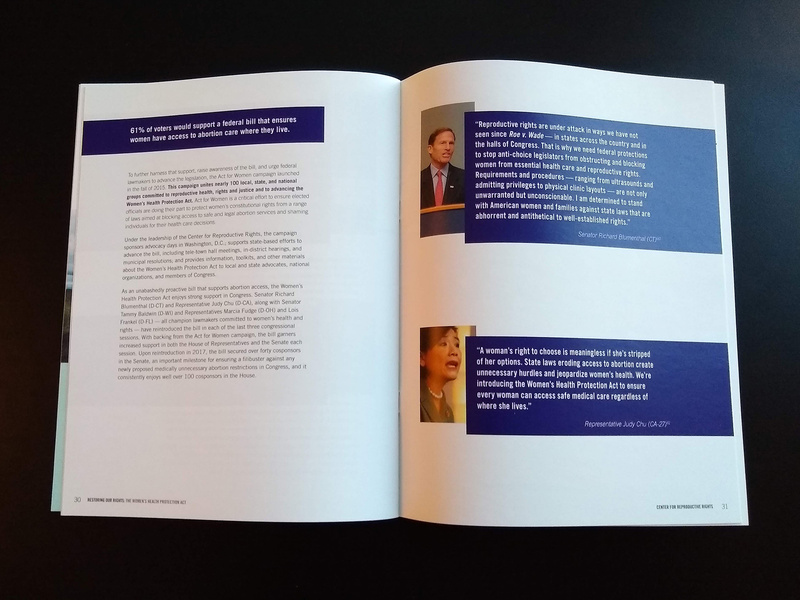 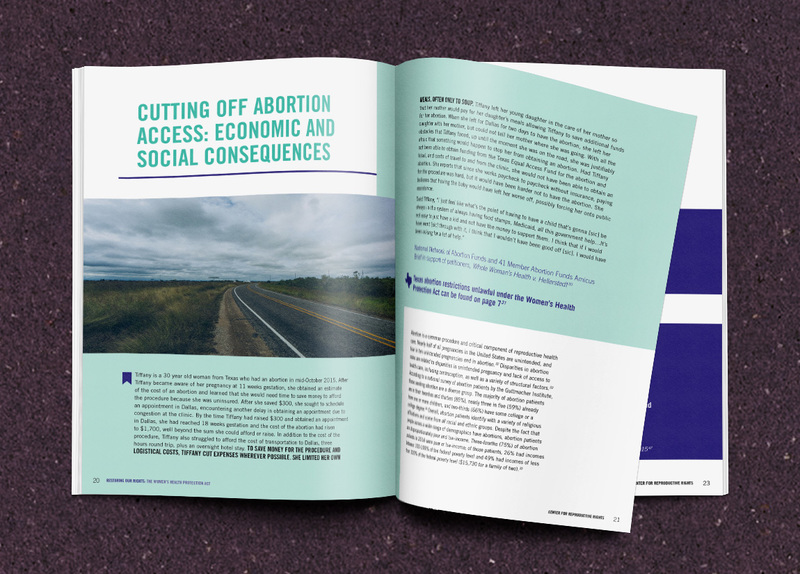 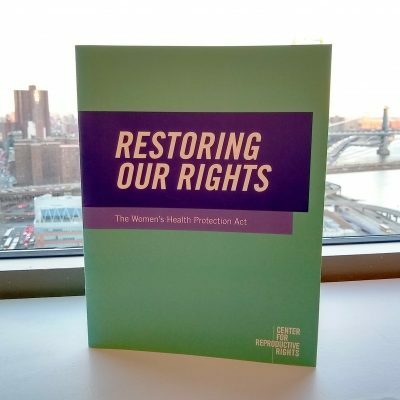 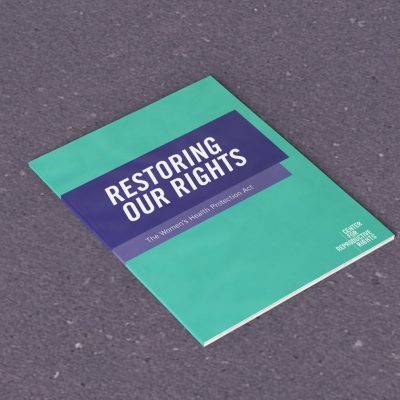 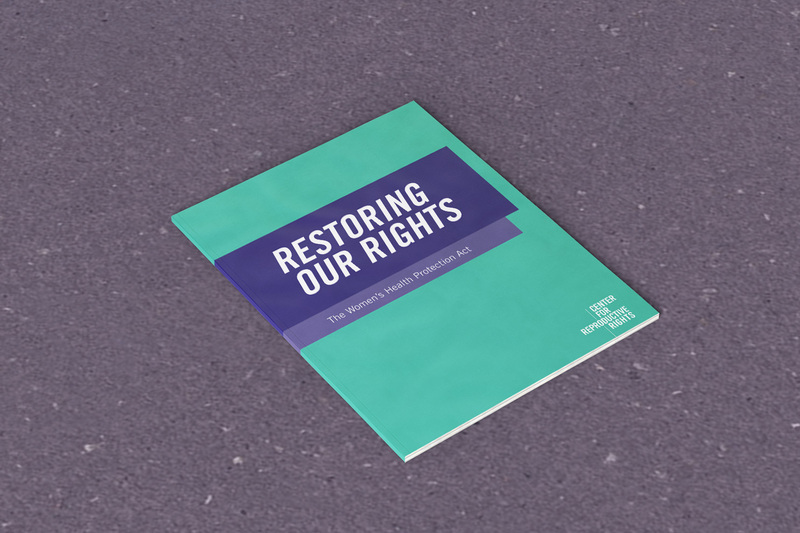 Along with summarizing and emphasizing the importance of this legislation, the Restoring Our Rights publication uses the stories of women’s struggle to get access to abortion and gynecological care in states across the country. 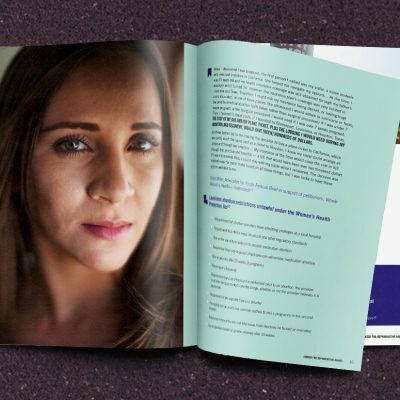 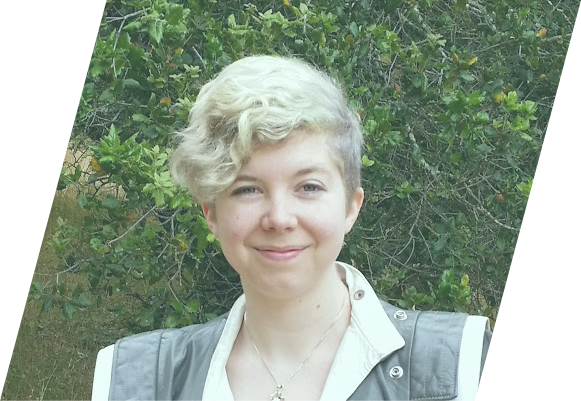 While these stories bring a human face to the issues, we also needed to respect the anonymity of our storytellers and strike a critical balance of highlighting the urgency of enacting the legislation without dehumanizing with photography that asks the audience to be women’s savior. 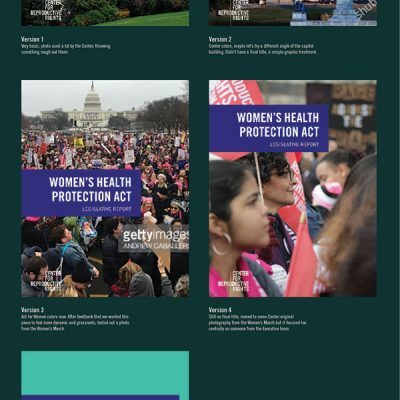 As a first deep dive into the Center’s brand, I also learned more about Act for Women as a separate brand, thus the drastic color and font shifts as this needed to be co-branded with Act for Women as the primary. 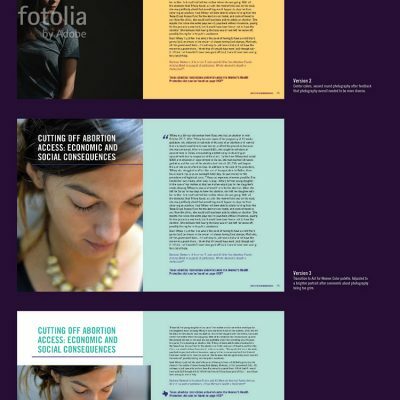 It was a successful if difficult jump into the deep-end with a remote team in DC (many of whom were also recent hires), learning two brands, taking a considered focus on diversity and tone in photographic choices, learning the history of the Center’s involvement in marches, rallies, and legislative advocacy, and adjusting to a new working environment. 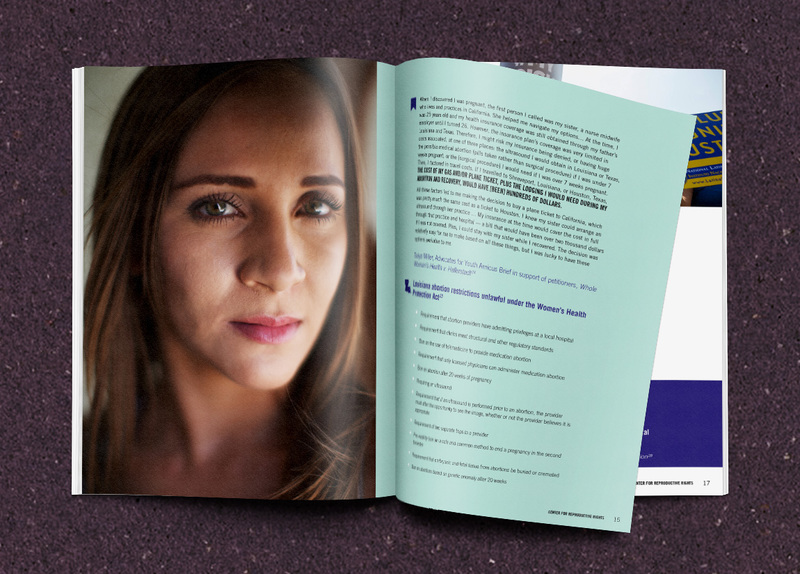 The photography is a combination of original and stock. 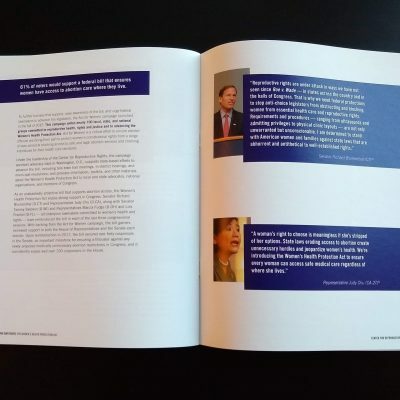 It’s bold, bright, and the Act for Women team were proud to distribute it at their events and to congress members on the Hill.